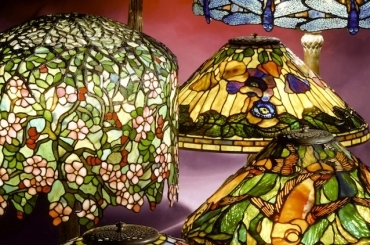 The 18″ Cobweb shade is an unusual Tiffany Studios lamp design. The shade features six cobwebs hung among the branches of a flowering apple tree. The upper portion of the shade is covered in tight buds and open blossoms, while the lower portion showcases the intricate cobwebs. Sculpted metal branches define the lower edge of the shade, which is faceted with flat areas for the cobwebs. The deep blue sky blends down to multicolored glass in the tree/cobweb portion of the shade. One of the webs hides a spider, waiting patiently for an insect to drop by. 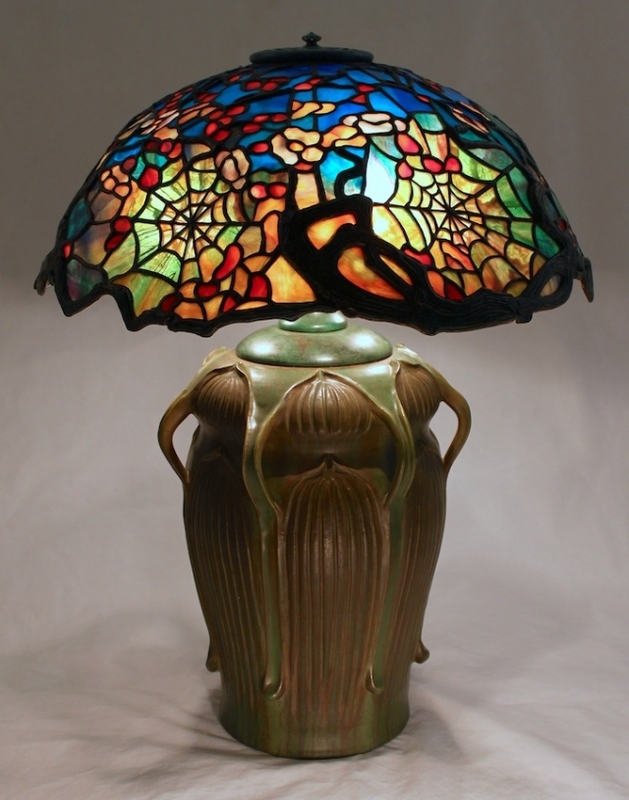 This shade, shown on the 7 Handled Pottery base, was commissioned by a North Carolina client.